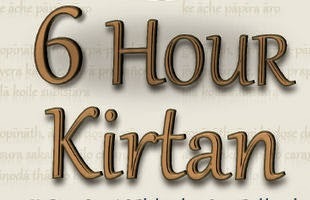 6-Hour Kirtan for Bhaktivinoda Thakur! - Saturday, Jun 28, 2014 **UPDATED** ~ The Toronto Hare Krishna Temple! This Saturday, June 28, 2014, the Hare Krishna temple welcomes you to join us for a special 6-Hour Kirtan honouring Srila Bhaktivinoda Thakura and his divine legacy as we commemorate 100 years from his disappearance. This non-stop six hour kirtan, starting at 3:00 pm, will mark the culmination of various events that are happening throughout this month! Please mark the date in your calendars, and we hope to see you this Saturday!